Energy transition and climate protection: Are we really better than Donald Trump? The renowned energy expert Volker Quaschning asks this provocative question at the TPA event “Energy Tomorrow” on 29 April and calls for an energy revolution instead of a half-hearted turnaround. For the 8th time renowned experts will meet in the Ares Tower in Vienna to discuss face-to-face burning questions of our energy future with you. This year, a central topic of the half-day event will be climate change. Volker Quaschning, renowned energy transition researcher of the HTW Berlin, informs in his keynote speech “Energy transition and climate protection – Are we really better than Trump?” about the current status, the latest trends and developments in the field of energy transition and climate protection. And he is not the only thought leader who will fascinate the audience. 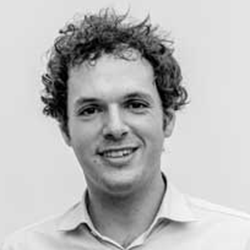 Filippo Ferraris, co-founder and CPO of Enerbrain, knows why demand response solutions are becoming more and more important for energy production. Enerbrain reduces energy use in existing buildings using mathematical algorithms and IoT sensors. The goal is to reduce the environmental impact by machine learning and the installation of products. As a speaker at “Energy Tomorrow”, Ferraris highlights the future of energy with artificial intelligence, machine learning and big data. Whether electricity is the new Internet – this is the topic of Peter Blaschek, Head of Software Department of the W & KREISEL Group. Wolfgang Hribernik, head of the Center of Energy at AIT, deals with the development of energy infrastructures in the tension between the market and the grid. These and other topics will be the focus of the lectures and discussions on April 29 in the modern and airy atmosphere of Wolke 19 in the the Ares Tower.